Anyone knows how to round out that cube at this video from 10:11 i really looked every where but since i am new here i couldn't find anything. would really appreciate that. Please try to Sphere. Edit Mode. Cube with high vertex density. After To Sphere operation it looks like ... well a sphere. The move your mouse away and experiment. Not the answer you're looking for? Browse other questions tagged modeling video shortcut or ask your own question. 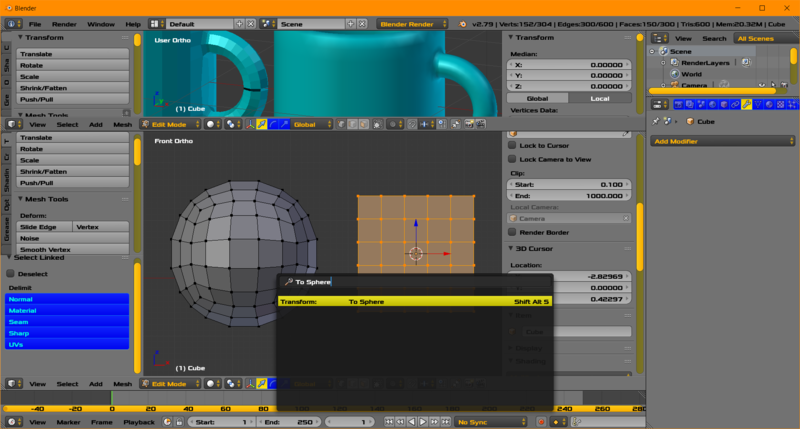 Does Blender remember every manipulation done? Could anyone explain what he is doing in this video?